Experience two evenings merging art with food. 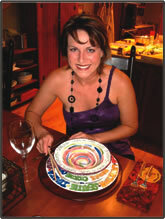 The first evening, decorate your own three-piece dinnerware set. The next night, relax and enjoy dinner on your new dishes prepared by one of Galena�s best eateries, in a one-of-a-kind historic setting. Overnight lodging available next door at Abe's Spring Street Guest House. 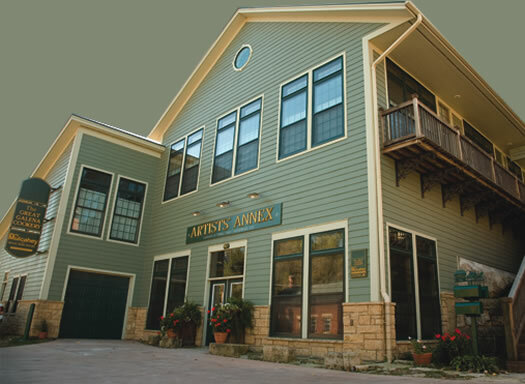 Newly constructed Annex building house a pottery studio where the works of Charles Fach (owner/artist) are created and crafted. From clay to bronze, it all starts here. Also available are business rental space. Spacious studios offer a unique perspective of the landscape while offering all the necessary amenities to create an amazing work environment. Erected on the grounds of the fermenting and grain storage facility of the late City Brewery, one of Galena�s predominant breweries in the 1800s. 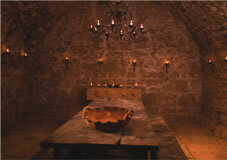 Left intact inside the Annex is the original barrel-shaped grotto, once lined with beer kegs. It is now used as a unique conference and dining area. 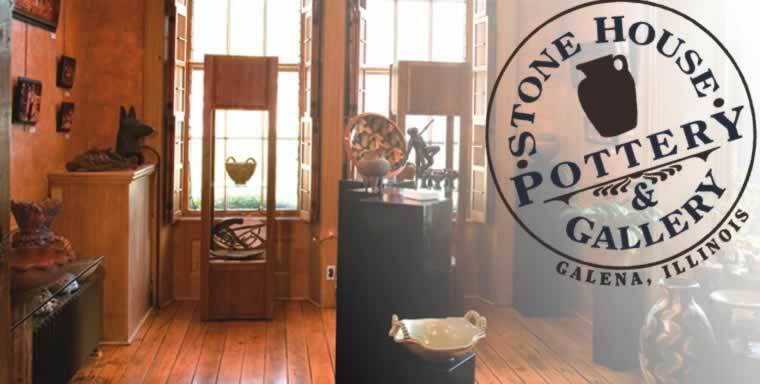 For more information on Galena�s Artists� Annex please contact Charles or Sandy Fach at gallery@stonehousepotterygalena.com.